No matter what, everyone will feel “overwhelmed” and “stressed” out over something. Stress is part of an every day life, whether it is financial, mental, physical, relationship, or work-related. Here, at A-1 Home Care Agency, we often see stress contributing to most of our seniors‘ health and even mobility–note heart attacks and strokes. Our certified trained caregivers are aware of the steps that it takes to either recover and monitor after one has a stroke and heart attack. Our twenty-four hour in-home service puts each caretaker through an extensive background check and additional tests from medication to skills set in order to place the perfect match with our senior patients. Most of our seniors have experienced difficulty of mobility, therefore, limiting numerous of physical activities including lighter ones such as walking and yoga. However, most of our seniors have sought comfort and joy in more sit-down tasks such as reading. One of our goals is to build and maintain a working relationship amongst our caregivers and seniors and this makes it easier for many hobbies to be done together. Why Zebras Don’t Get Ulcers: An Updated Guide to Stress, Stress-Related Diseases and Coping – Robert Sapolsky, Ph.D.
Full Catastrophe Living: Using the Wisdom of Your Body and Mind to Face Stress, Pain, and Illness – John Kabat-Zinn, M.D. Undoing Perpetual Stress: The Missing Connection Between Depression, Anxiety and 21st Century Illness – Richard O’Connor, Ph.D. The 10 Best-Ever Anxiety Management Techniques – Margaret Wehrenberg, Ph.D.
Self-Coaching: The Powerful Guide to Beat Anxiety – Joseph J. Luciani, Ph.D. Please do give our San Gabriel Valley branch a call at 626-287-0250. OR, you can visit our website www.a-1homecare.com to find your nearest branch to discuss with one of our agency representatives. The heart is arguably the most important piece of organ we have in our body. So when the heart is having a problem, it needs to be fixed as soon as possible. For those who have irregular heart beats, had a congestive heart failure, or other heart diseases, a pacemaker may often do the trick in maintaining a suitable heart rate and rhythm for the heart muscle according to WebMD. Having a pacemaker inside your body sounds like something that might require a major procedure. However, it is far from the truth as it is simply implanted under the skin of the chest in a minor surgical procedure. After the surgery , a complete check up is done six weeks after the pacemaker is implanted. This follow up is very important because adjustments are made to extend the life of the pacemaker. After having a pacemaker implanted, physically demanding tasks around the house should be delegated to other people such as family, friends, or professional caregivers. A-1 Home Care in San Gabriel Valley offers caregivers such as Ruth Jackson, Natali Crystobal, and Linda Enriquez who are reliable, generous and always ready to make a difference in After Surgery Care, Diabetic Care, Hospice Care, Incontinence Care, Cancer Care, Parkinson Care, and other elderly home care services. For over 20 years, our services have been trusted by seniors and elderly in the communities of Arcadia, Pasadena, San Marino, Temple City, Rosemead, Alhambra, Monrovia, Azusa, Duarte, and many more cities around San Gabriel Valley, Los Angeles and Orange County. 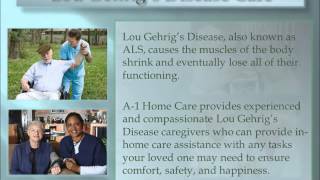 So if you know someone who recently had an operation and in need of a professional caregiver, A-1 Home Care is the affordable solution. 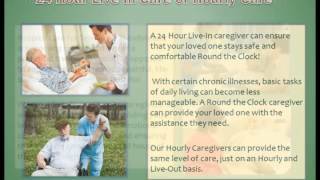 Call 626-287-0250 today to start in home care, or visit our website www.sangabrielvalleyinhomecare.com to find out more! Bed wetting among seniors and elderly folks are more common than you think. According to AgingCare, causes of such condition may vary from diabetes, urinary tract infection, neurological disorders, prostate cancer, prostate enlargement, or even acute anxiety. It is a sensitive and embarrassing issue for seniors and elderly to discuss about, so often times they choose to keep the issue private. However, not only is this personal ego matter, but it is also an health issue. When you aging loved ones are having other medical ailments like osteoarthritis, immobility, vision changes, incontinence simply compounds to the decreasing quality of life that they are experiencing. 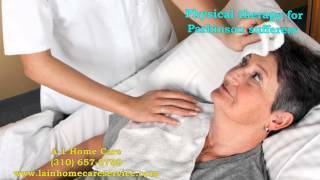 In such case, a home healthcare provider is often recommended if family and other loved ones have other responsibilities to attend to. 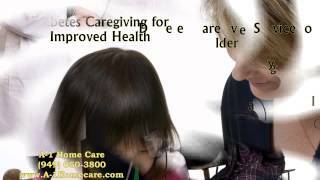 A-1 Home Care in San Gabriel Valley provide compassionate caregivers for seniors and elderly who are experience incontinence issues. 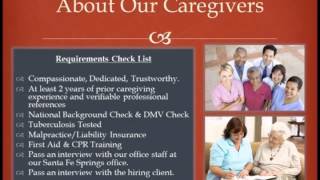 All our caregivers have prior caregiving work experience, and are certified in CPR and First to give you a peace of mind. For over 20 years, we have been serving the San Gabriel Valley with great pride, covering areas such as Arcadia, Pasadena, San Marino, Temple City, Rosemead, Alhambra, Monrovia, Azusa, Duarte, and many more cities around Los Angeles and Orange County. 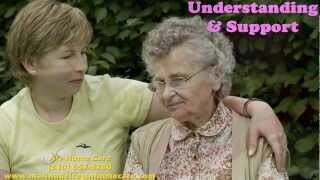 So if you have elderly loved ones in need of incontinence care, or our variety of services including Parkinson Care, After Surgery Care, Alzheimer Care, Cancer Care, Hospice Care, don’t hesitate to contact us today! 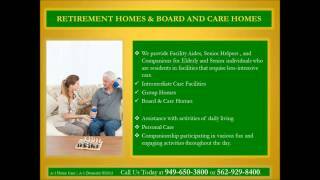 Our number is 626-287-0250, or you can visit www.sangabrielvalleyinhomecare.com for more information. Prostate cancer is one of the more curable cancer when detected at the early stages, and many can live 5 years cancer free according to the Prostate Cancer Foundation. However, prostate cancer is also a tricky disease as it is slow to grow from initial treatments and therapies, and about 20-30% of patients are estimated to show signs of recurrence of the disease after the 5 years mark. Using PSA levels, it can indicate the disease’s progression well before other symptoms or signs may occur. While it is an indicator, it is not the only sign of an recurrence of the disease. If you are one of those who have previously cured prostate cancer, speak with your doctor about the possible chances of recurrence and see if you should get tested for such event. A-1 Home Care in San Gabriel Valley offers reliable and quality caregivers, companions, certified nurse aides, and other home health care professionals in Cancer Care, After Surgery Care, Special Needs Care, Diabetic Care, Hospice Care, Incontinence Care, Parkinson Care, and other elderly home care services. Not only do we serve San Gabriel, but we also provide service in areas such as Arcadia, Temple City, San Marino, Pasadena, Rosemead, Azusa, Monrovia, and other cities in the Los Angeles or Orange County. With over 20 years in the business, you can trust A-1 Home Care of San Gabriel Valley to provide you with the customized and quality service that you are looking for. Call 626-287-0250 today for free in home assessment, or visit www.sangabrielvalleyinhomecare.com for details. The endless worry about the different responsibilities in your life from taking kids to school, helping them with homework, making sure everyone is eating healthy, and keeping the house organized. To add to that, you have an aging parent who is suffering from Alzheimer’s and is in constant need of care. Life could not be more hectic, and it is taking a toll on your body both physically and mentally. Another car problem may just put you over the breaking point. According to WebMD, caregiver burnout is a state of exhaustion physically, emotionally, and mentally that could lead to a change in attitude in many aspects such as withdrawal from friends and family, changes in sleep patterns, irritability, change in appetite and weight, and much more. If you are already in this state, help is recommended by WebMD to relief your stress and depression. 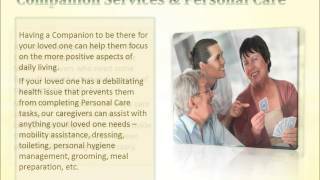 From Home Health Services to Private Care Aides, these are examples of help that can help relieve your responsibilities to care for the elderly. 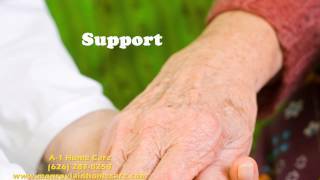 A-1 Home Care in San Gabriel Valley offers excellent and reliable at home caregiving services at an affordable rate. We are recognized by many including the Better Business Bureau with an A+ rating and Shield Accreditation. Our services cover areas around the San Gabriel Valley, including Arcadia, San Marino, Temple City, Duarte, Azusa, Covina, West Covina, and other cities around Los Angeles. 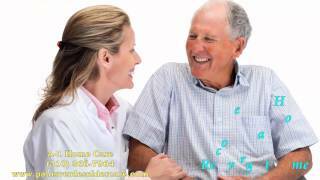 We offer a variety of services such as Diabetic Care, Hospice Care, Incontinence Care, Parkinson Care, After Surgery Care, and many more Senior Care Services.